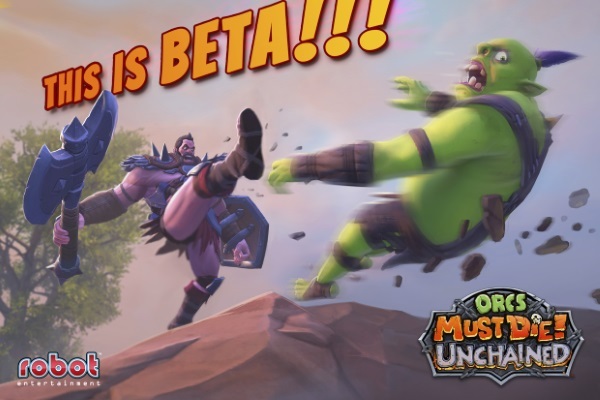 New features and content are coming to the ORCS MUST DIE! UNCHAINED™ closed beta on Wednesday, August 27. Players can look forward to taking the mighty Tundra, a brand new hero, into battle with their friends. Capable of both ranged and melee attacks, Tundra can disable large numbers of enemy traps and can ignore crowd control on occasion, allowing players to mitigate enemy defenses. Twenty new trap cards, new items and a new weaver will also be introduced, providing additional options for holding enemy players and minion waves at bay. Minion Captains are being introduced, a twist on the signature core ORCS MUST DIE! UNCHAINED gameplay. Captains are strong minions that accompany minion waves when a War Camp advances to level three or four. Complete update notes and details on the minion captains and other new additional features can be found here. Robot Entertainment will also be hosting their own panel at PAX Prime on Saturday, August 30 at 1:30pm (Pacific) at the Hedgehog Theatre located at the Grand Hyatt Seattle. Hear the history behind the studio including pre-Robot stories about the Ensemble Studio days and the Age of Empires series. Learn more about the history and future of the ORCS MUST DIE! series, including ORCS MUST DIE! UNCHAINED. There will be tons of surprises and giveaways for all fans including those that tune into the live stream on the official Orcs Must Die! Twitch channel at http://www.twitch.tv/orcsmustdie and on the Official PAX Twitch channel at http://www.twitch.tv/PAX.